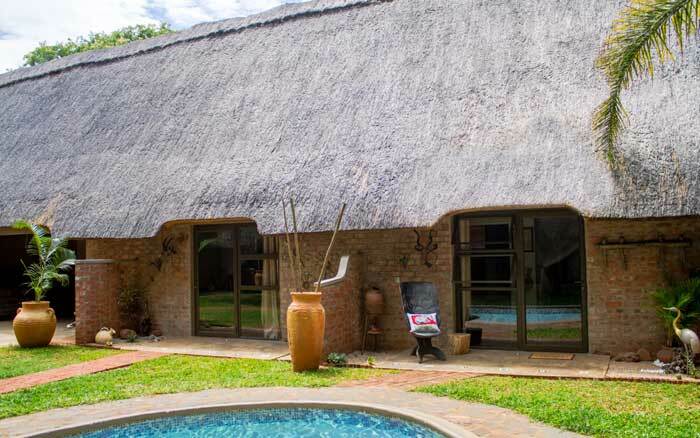 This small lodge is in a quiet suburb of Victoria Falls, ideally placed for enjoying the many activities available in the area. This small lodge is in a quiet suburb of Victoria Falls, ideally placed for enjoying the many activities available in the area. Reception staff are happy to help you plan your time with a selection of excursions such as a guided tour of the falls, scenic helicopter flight, sunset Zambezi River cruise and a range of adventure activities. They can also advise on local restaurants and other places of interest, and the centre of town is just a 5 minute taxi ride. The lodge is a great place to unwind away from all this excitement. The Kraal Restaurant is open for breakfast, lunch and dinner exclusively for lodge guests and serves wholesome, home-cooked food, while the bar is a sociable area in which to mingle with guests. The lodge is surrounded by attractive gardens which include sitting areas, a swimming pool and sundeck. There are just 14 rooms, all en-suite and with plenty of storage space and views of either the garden or pool. The large family room sleeps up to 2 adults and 2 children. Rooms feature locally made artworks and furniture, some of which depict the eponymous Nguni cattle, giving them local character. Children of all ages are welcome. There is 1 family room accommodating up to 2 adults and 2 children. There are 8 standard and 6 deluxe rooms, all with storage space for clothes and luggage, ceiling fans or air conditioning and en-suite bathroom. Beds can be configured as a double or 2 twins. The standard family room has one king-size bed plus a bunk bed suitable for 2 children under 13 years of age. 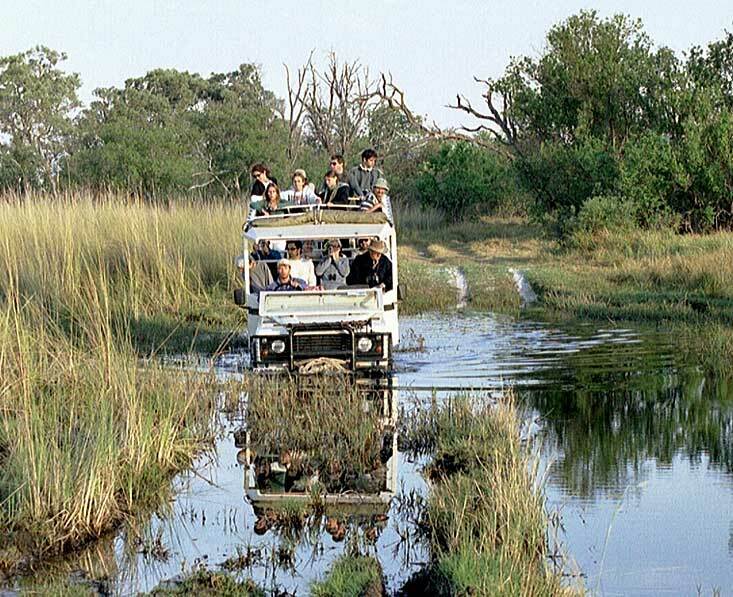 This group adventure safari includes Moremi Game Reserve, Chobe National Park and the magnificent Victoria Falls.